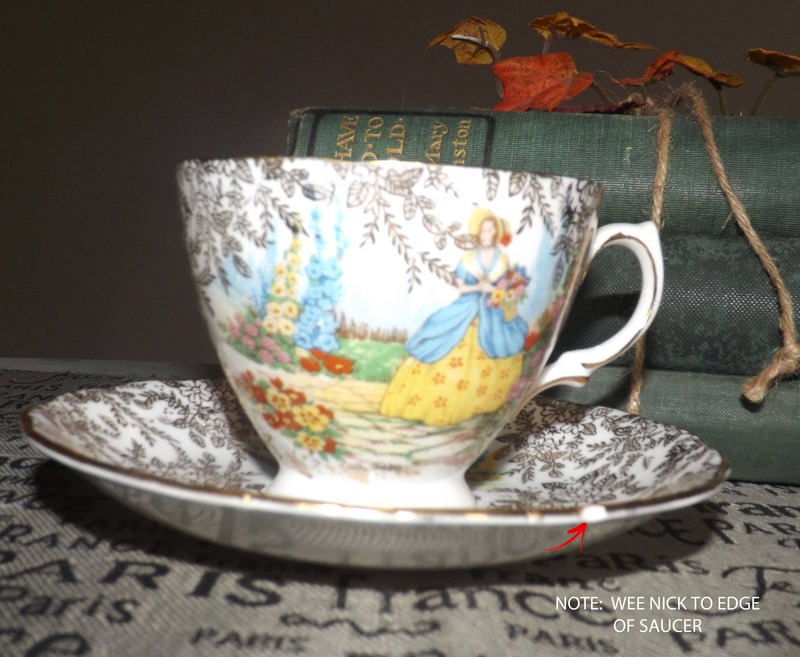 Mid-century (1950s) Colclough CLC10 Crinoline Lady tea set (footed cup w/matching saucer). Gold floral chintz, scalloped, gold edge. 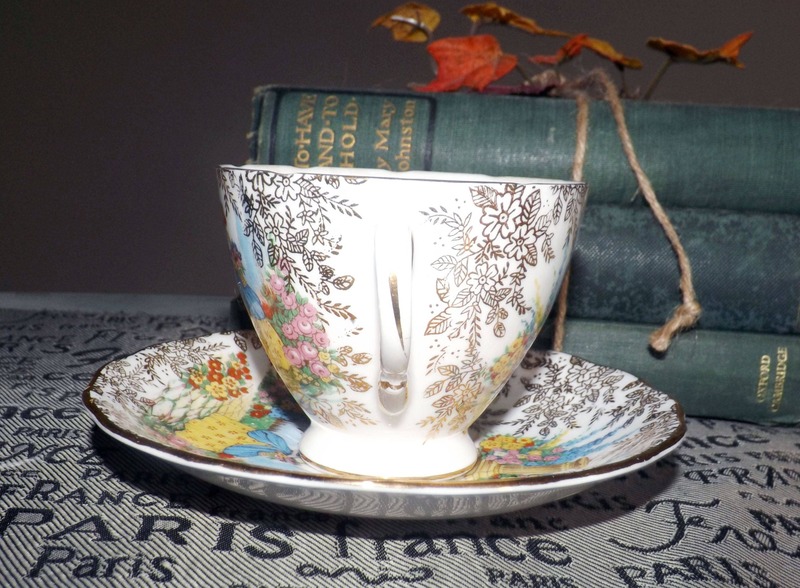 Mid-century (c.1950s) Colclough CLC10 pattern (replacements.com) hand-decorated Crinoline Lady tea set (footed cup w/matching saucer). 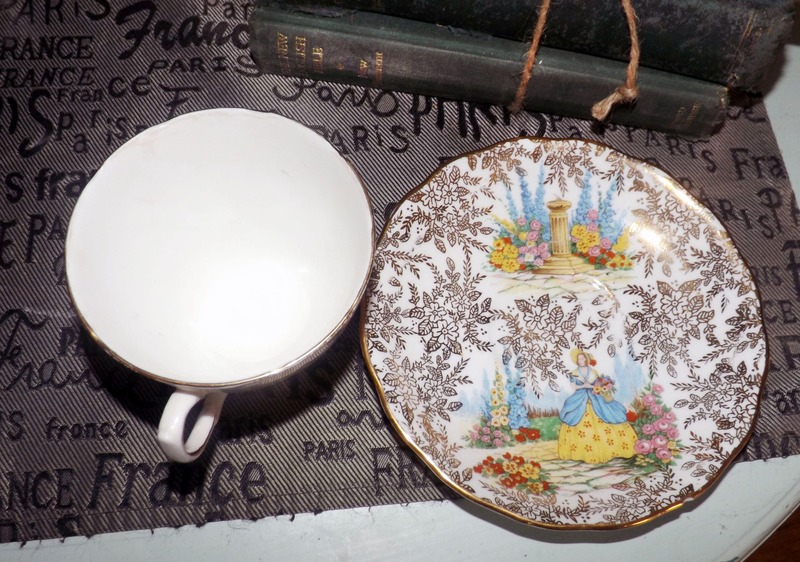 Gold floral chintz, crinoline lady in the center, scalloped, gold edge and a thing gold band on the inside cup bowl. This cup and saucer are in VERY GOOD! condition but there is a WEE nick to the edge of the saucer (please refer to photo 2 specifically, at the red arrow to draw your attention to the affected area). Otherwise, there are NO! chips, nicks, or fleabites, NO! cracks, LITTLE TO NO!! 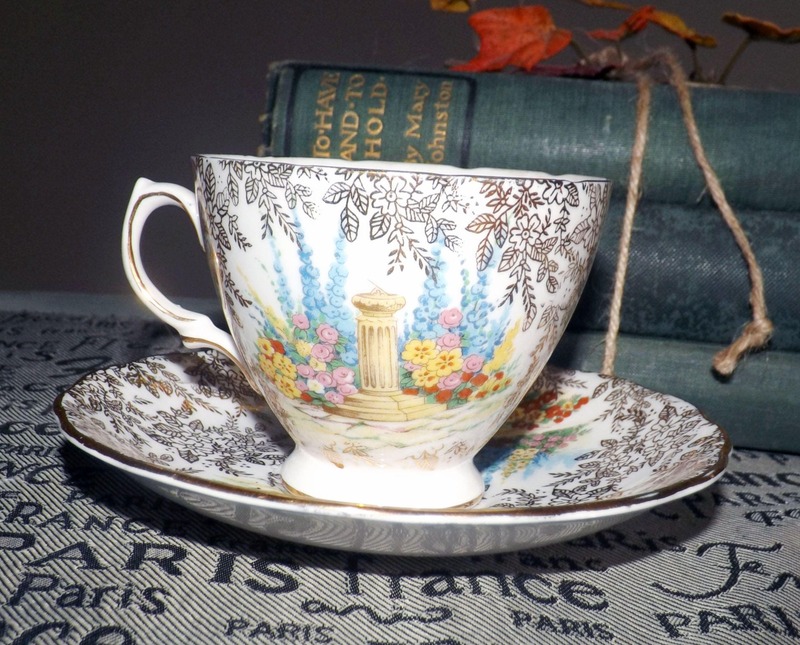 loss to the gold, floral chintz, gold band and accents, or scalloped, gold edge and NO! marks, stains, scratches or other signs of use or wear. Gold decorator's brush mark in gold to reverse of saucer. Lovely mom gift! 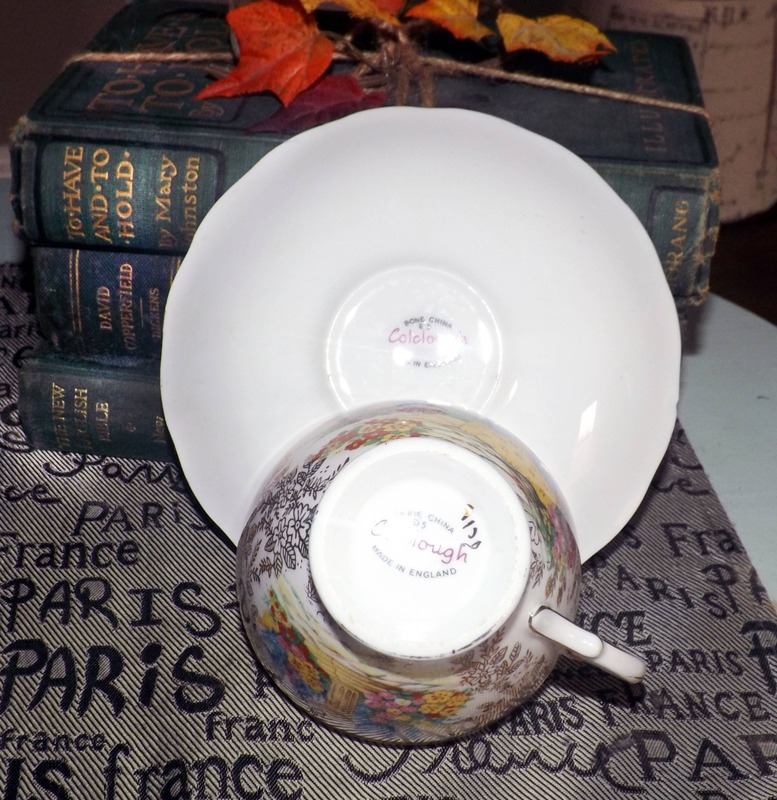 Approximate measurements: footed cup stands 3-1/2" with a 4" diameter bowl | matching saucer is 6-1/4" in diameter. Both have a scalloped, gold edge.